Learn how to use light when taking your photographs and then understand how to make the best of it during post-processing in this two e-book package from Mitchell Kanashkevich, a tireless world wanderer and a travel / documentary photographer, working predominantly in Asia and Eastern Europe. The eBook is made up of three sections which cover the use of a flash, a reflector and natural light. After a short introduction to each type of light, you are presented with photographic examples, diagrams and descriptions, explaining the aim of particular setups and how the lighting effects in the example photos were achieved. 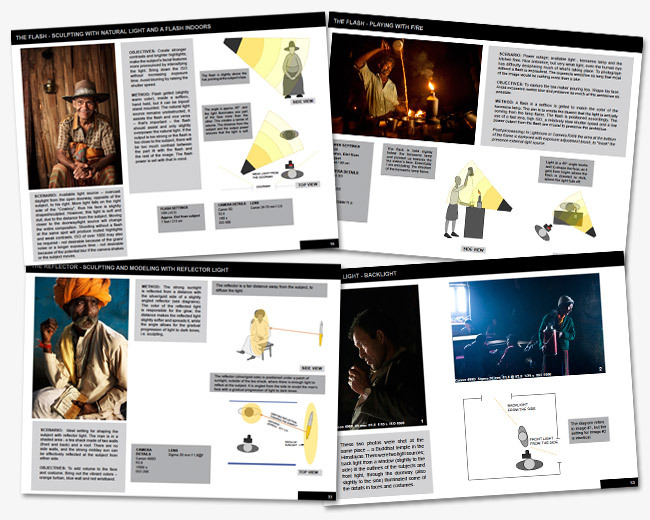 The aim of the eBook is to give you a general understanding of the main types of light, but its main purpose is to be a practical guide, to get you out there, shooting, experimenting and using light creatively in the field. “Understanding Post-Processing” is a practical guide to post-processing of photographs in Adobe Lightroom and Photoshop. 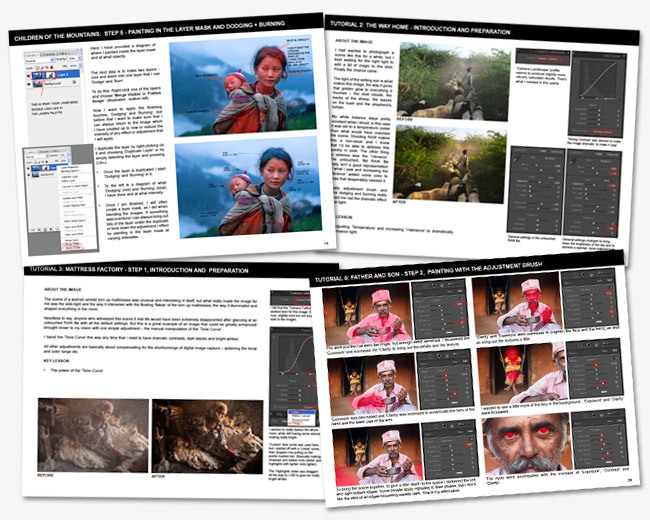 The eBook briefly looks at the philosophy behind post-processing and aims to help you gain an understanding of those tools which are most relevant to making your images striking and powerful. Five of my photographs are analyzed in-depth through a step-by step breakdown of the actions required to achieve the final look of each image - from opening up the .RAW files to applying the finishing touches in Photoshop. Note: While the eBook covers Lightroom and Photoshop, over 80% of the actions discussed can be done without Photoshop and all of them can be done without Lightroom. If you don’t have Lightroom, you will be able to apply everything in this eBook to your workflow and if you don’t have Photoshop, you will still be able to get a lot out of the eBook . Apple Aperture users will find that Adobe’s packages are quite different and thus will only be able to benefit from the philosophical elements of the eBook.